Rosoboronexport is co-operating with some NATO countries and is negotiating with the US Department of Defense on supplying Russian helicopters to Afghanistan and Iraq. 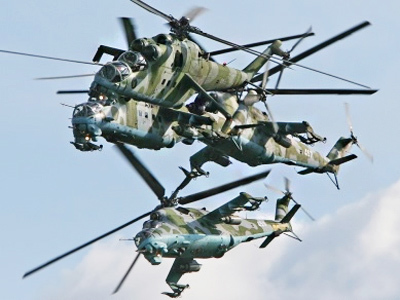 ­The US military has expressed interest in buying the helicopters, General Director of Russia’s state arms trader Rosoboronexport, Anatoly Isaikin stated at a news conference on Wednesday. The issue is now in the discussion stage and no contracts have been signed yet. But, according to the official, the supply of helicopters to Afghanistan is one of the plans on the burner that could materialize in the near future. Meanwhile, Russia’s losses from the Libyan embargo could reach $4 billion over the next several years. The sum includes issues that have been negotiated recently and could be transformed into contracts. This figure “could have well been achieved in the coming years” if Russia had agreed on all positions with Libya, Isaikin said. But Moscow was strictly observing embargo on arms supplies to Libya, he stressed. As for Egypt, it remains one of Russia’s important partners. Moscow is also continuing military and technical co-operation with such NATO countries as Greece and Turkey and is conducting negotiations with France on the purchase of Mistral helicopters carriers and components for weapons and military hardware. Moscow and Paris have agreed to create joint defense enterprises inside Russia. The detailed talks on Mistral, including the price tag are under way. According to Isaikin, they started officially only in December 2010, when Rosoboronexport signed a state contract with the Defense Ministry. Such big deals usually take several months, the official said. The negotiators have to consider many parameters, including legislation and funding for the contracts, which could differ in Russia and France. “All this must be discussed, a compromise needs to be struck, concessions have to be made,” Interfax quoted him as saying. Russia is ready to consider the purchase of some weapons “from NATO countries and supply military-purpose products to NATO members, if there is demand for them,” Interfax quoted Isaikin as saying. Moscow is the second largest global supplier of military hardware after the US. In 2011, Russia’s arms exports may rocket to nearly $10 billion. 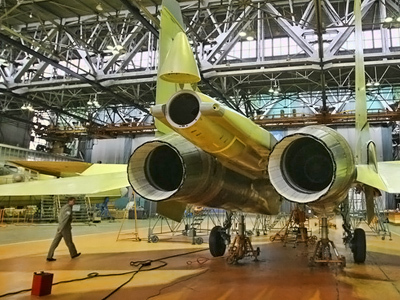 The bulk of exports are aviation products, including Su fighter jets and helicopters. Exports of air defense systems are expected to grow slightly. Over the recent decade, the company’s exports have grown from 500 to 700 million US dollars a year. India, Algeria and China remain Moscow’s biggest partners. Beijing accounts for up to 10% of the sales of Russian weapons abroad. Moscow does not buy any military products from China, and is not co-operating in the military field with Taiwan, Isaikin said. Rosoboronexport may also consider supplying submarines to Venezuela, but the company has not received such requests. There are no restrictions on the supply of submarines to the South American country. At the same time, Russia has spent about $100 million to buy parts for military hardware abroad. The country’s arms export-import ratio remains the same, but it could “change drastically if Russia buys Mistral helicopter carriers from France,” Isaikin said. Imports are increasing because Russian weapons buyers request some parts, such as thermal imagers for aircraft and armored vehicles, which are bought in France.